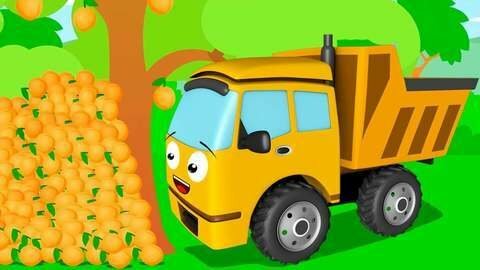 This car cartoon for kids features an Angry Police car that is chasing the Dump truck with a load of fruits on its back. The chase goes through town where the Police car decided to use a bazooka gun filled with water balloons. Unfortunately, the seed that the dump truck threw landed on the gun and blocked the water balloons until it burst in front of a burning building. Go to SeeZisKids.com to watch other entertaining car cartoon for kids.